At MUMC, we take advantage of whatever snow there is, and by whatever means appropriate. Most MUMC trips to the snow take place within Victoria, between July and the end of September. They include skiing the yo-yos at any of our alpine resorts to maximise the number of turns, or an excursion to Bogong High Plains or Mt. Feathertop to carve up the pristine gullies. We also run more beginner-friendly trips to places such as Lake Mountain or Mt. Stirling, as well as tours in the Bogong High Plains. Mt. Fainter North and Mt. Fainter South (collectively known as "The Fainters") is located between Mt. Feathertop and Mt. Bogong and is a convenient destination for shorter ski-tours. MUMC members have been known to travel interstate (or even over the deep blue), with a tour of the Main Range being the high point of a season for some. 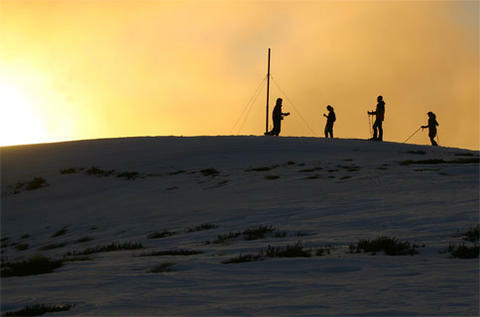 Advanced skiers go to The Main Range in NSW for challenging and extended ski tours. 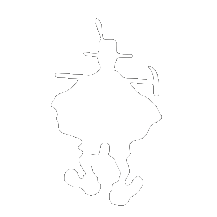 Our club publication - The Mountaineer - contains many past trips and gear reviews, all helpful for planning your next big adventure! Trip length ranges anywhere from a day at the snow, to a week or more spent touring the backcountry. Day trips usually involve an early start (on the road by 6am), since the closest snow is the better part of 2 hours away. Weekend trips often leave on Friday evenings, with a night of driving, and for those crazy enough walking up steep mountains, to be dispensed with. 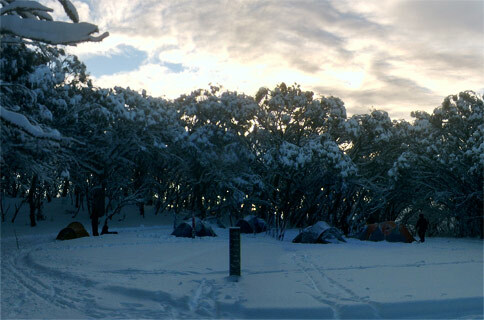 Ski-tours sometimes span two days, camping out in snow for the first night. Mt. 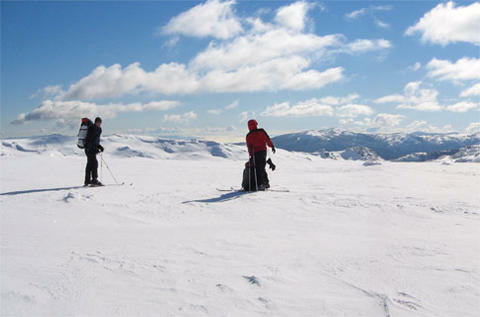 Stirling is a popular destination for beginner skiers and those new to snow camping. All our gear for hire is of the Telemark variety, and the display of brightly coloured thermals under shorts is considered normal. Most of our equipment is geared more towards touring rather than resort skiing, and although the odd OXO can be found in the Hoppet, cross-country racing techniques are not usually utilised. That said, if you want to bring your Alpine Touring skis, snowboard ( and hire some of our snow shoes for the uphill ) or your splitboard feel free! You will however need to source this equipment for yourself. Many of the keen skiers in our ranks have their own sets of Alpine Touring skis. Don't worry if you've never seen snow, let alone skied on it - we were all beginners once and have trips at all levels.